From my dorm window I can see the soon-to-be college freshmen huddling in small tour groups, listening to the obscure facts rapidly spewing from their guide’s mouth and trying to discern which slivers of information makes my college more special than any other medium-sized liberal arts college in the mid-Atlantic region. Prospective students are a mess of emotions. They’re annoyed by their parents’ frequent, embarrassing questions about drug culture and the best study spots on campus. They’re stressed by the impending enormous decision they’ll have to make and how to pay for this extreme investment. They’re both terrified and eager to move away from home and start their first year as an independent college student. I love prospective students because they don’t know yet how hard they’ll struggle. They’ll spend hours in the library, cramming for tests and writing research papers and taking red-comfy-chair-induced power naps. They’ll come to terms with realizing how little some old friendships mattered, and they’ll have to re-learn how to create new bonds with people. They’ll get over their fear of talking in class. They’ll feel overwhelmed by constant reminders of things they “should” be doing: becoming president of every club, applying for jobs and internships and scholarships and grad school, and networking with alumni they’ve never met on LinkedIn. 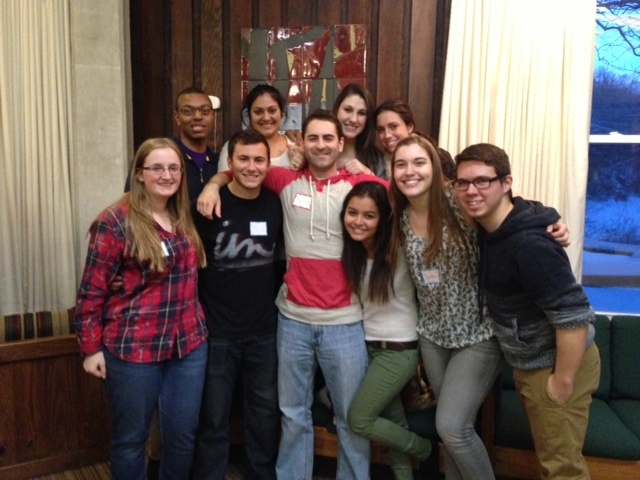 I love prospective students because they don’t know yet how much fun they’ll have. They’ll get to know people with a million different interests and learn about topics they didn’t know existed before. They’ll meet people at parties and at club meetings and in class who they can chat with while walking across campus. They’ll have impromptu dance parties. They’ll explore the town. They’ll make fun of each other’s slang, and then acquire each other’s accents. They’ll stay up till 3am with their roommates talking about social justice and how their families are practically duplicates of each other. They’ll celebrate birthdays with their dormmates. They’ll order pizza for no reason. I didn’t even want to visit my college, but once I went on a tour I fell in love. Because of this, it takes a lot for me to resist pouncing on (and subsequently scaring) prospective students in hopes that I’ll help them see the community that reached out and drew me here. 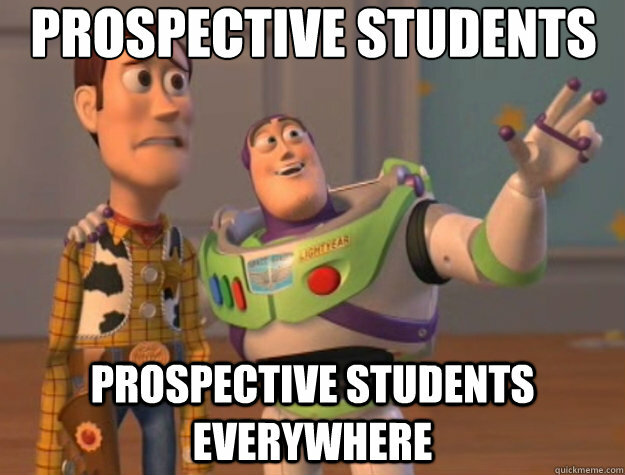 This post goes out to the prospective students huddling in their tour groups. May your current mess of emotions lead you somewhere you love. I was always so embarrassed by my mom when we toured, but I’m so grateful that she took notes for me and asked questions I didn’t think of. I love future students too! I work at our college “spirit super store” I guess you could call it, and with all the tours and orientations starting it is soo fun having them come in! It cracks me up to hear from the future students and their families. Oh man! I love it. That’s what surprised me most when I went to summer orientation is that there were no rules and basically no guidance. I expected that from college, but I felt like orientation should maybe have a curfew. I loved reading this! As a prospective student myself, getting myself pumped for college is one of my favorite past-times. I’m so excited, and reading things like this make me even more of an anxious-nervous-ecstatic mess. Channel that mess into greatness! You’ll love it, I promise. It’s such an exciting time for them!